I copy pages during the design process for a variety of purposes. Some of these uses may not have occurred to you, so I wanted to gather them here in one place for you to consider. And thanks to my clients being willing to show their websites as real-life examples, I can not only explain how to use these tricks, but show you too. Here are the five ways I copy pages in Squarespace and Weebly to save me time. This was the first technique I used and still use it on every project I work on. Most websites have more than one page with the same design as another page—with the same margins, number of columns, placement of images, and perhaps repeated headings, text, or buttons. Instead of having to painstakingly re-create all those elements on a page, you can copy a similar page. Then you'll have most of the elements in place already and need only update the new page with its own text and images, change the navigation and page title, and assign a unique URL. 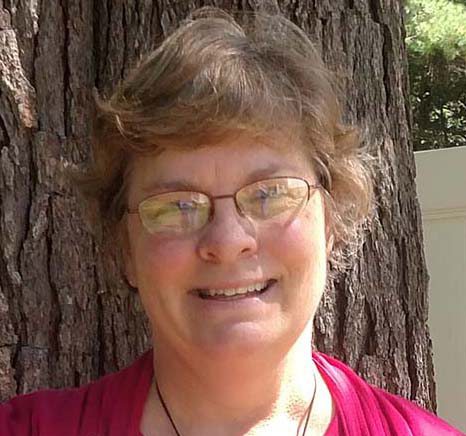 My client Ellen Petersen of Nourishing Life Qigong offers five different services, each on its own page. She had a lot of information she wanted to convey about each service, including its health benefits and what a session is like. 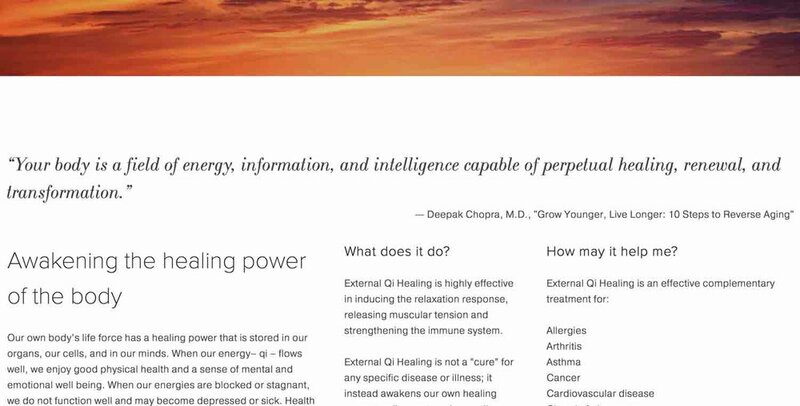 We settled on a page design for each of these pages that has a large banner image and quote at the top of the page, multiple columns of descriptive text with similar headings, a Schedule a Session button, and a few images that accompany the descriptive design. After designing the first page, I was able to copy that page and adapt it for the other four services. The page design has a lot of elements, so copying a page to make a start on the next one was a great time-saver. I also used this technique recently for Robert Perron, a writer whose website highlights excerpts from his novel. Each excerpt has the same design with wide margins, horizontal lines at the beginning and end, and a pair of Previous and Next links that cycle through the excerpt pages. Each page was copied from the first Excerpt page. I then replaced the text with the text of the new excerpt and updated the Previous and Next links to go to the correct excerpt in the sequence. If I want to try out a new design or I want to show a design change to a client, I'll copy the page I want to change and work from the copy. This ensures that the original page remains untouched. To keep the page hidden from the live website, I put the page in the Not Linked section in Squarespace or select "Hide in Navigation" in Weebly. To see this page or to show it to a client, I must save the page in Squarespace or click the Publish button in Weebly. To see the review page, my client types in its full URL in a browser (its full web address) to open the page to see it as it would appear to a website visitor. My client can then give me feedback and changes for the page. I can also look at the review page to see how it looks and to check that links and buttons work. Tip: When you copy a page, a URL is assigned automatically. You can see the page URL on Squarespace in the URL Slug field of the new page's Settings. In Weebly, you can see the URL as the Page Permalink in the SEO Settings. To get the full URL for a page, combine your website name, a forward slash, and the page URL. So to get to a copy of my Squarespace Home page, the full URL might be something like https://kerryathompson.com/home-1. A test of an About page on my personal Weebly site might be https://sustainablegreenlife.com/about-961067.html. My client Celebration of Reiki, Inc. changes its Home page frequently to add news of upcoming events or to make announcements. If there are changes that need to be reviewed first, I'll make a copy of the Home page, add the changes, have my client review it, and then when it is approved, I'll make those changes on the live Home page. Here's an example of a review page I just sent out asking for a review of the new image announcing the next conference before I added it to the live Home page. Sometimes you learn how to do something by making mistakes. I had a few panicked situations when I was first learning how to move elements around on a page where things got really messed up, as in irretrievably messed up, and I had to quickly design the page again. This is a risk on Weebly especially because changes you make can't be undone; there is no Cancel option when you design a page as there is on Squarespace. After learning the hard way, I started making a backup copy of any page that I was going to be making big changes to...just in case. If things went bad on the design changes on the live page, I could always use the backup as a replacement (updating its URL and page/navigation title to match the original). Here's an example from my own website. I'm going to be trying out some changes to my Home page. Although I'm confident enough now to work on the live page, it's nice to know I have a backup copy to fall back on if necessary. I've had several clients recently who plan to continually add to their websites with pages of the same design. As a convenience, I've started making placeholder pages that serve as a template to keep the design and elements the same when making a new page that must match the others. The placeholder templates are hidden (moved to the Not Linked section and disabled in Squarespace or "Hide in Navigation" selected in Weebly). Each placeholder template page has a placeholder title and URL, which is updated with a real title and URL when adding the text and images for the real page. My client Miriam Hatoum of GrannyKeto.com has a Recipes section on her website and she regularly adds new recipes. 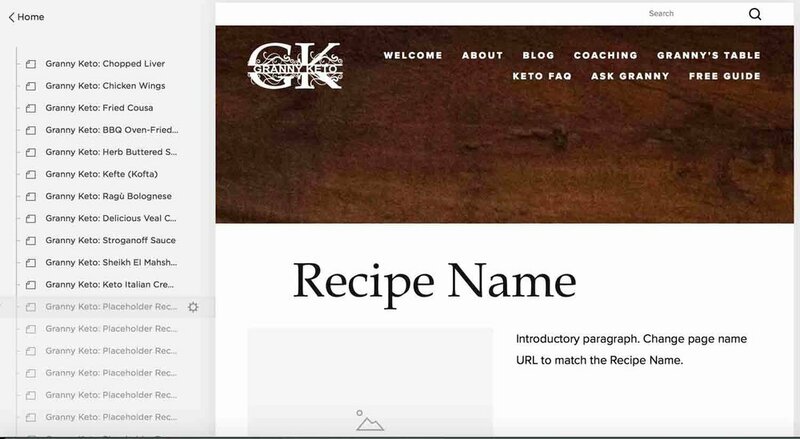 Each recipe has a consistent formatting style, with an image and an introduction first, ingredients and directions next, and nutritional information at the end. The placeholder pages I made have the headings in place, a placeholder for an image, and some tips in the text about how to add to the page. Another handy placeholder template is the online form that is used for events for my client Celebration of Reiki, Inc. Forms are time-consuming to create, so having a ready-made form with most or all of the fields that are needed for events saves me time. The final idea I have to share with you is that you can make a copy of a page for recordkeeping. I don't use this technique on my own website, but I have a couple of clients who find it handy to see an older page with text and images from a particular point in time. The clients I know who use this kind of archiving tend to run events that are similar from year to year. Having a record of what a page looked like at a particular point in time, including having images and descriptions of the event, the venue, vendors, or presenters or having a copy of an old registration form, can be handy for referring to when it's time to create pages for a new event. For my client Celebration of Reiki, Inc., I organize the archived pages by date. There are several events a year and each event has several pages associated with it. By organizing the archive copies in folders by year, it's easy to find an archive page from a certain event. These pages are renamed with the prefix “OLD” and hidden from view and because they are on Weebly, I also set the SEO setting for "Hide this page from search engines" because they are no longer active pages. If I were working in Squarespace, I would hide and disable the page by unchecking "Enabled" as a page setting. You now know everything I know about why you'd want to master the shortcut of copying pages on your website. If you can think of other ways to use copied pages that I haven't thought of, I'd love to hear from you!